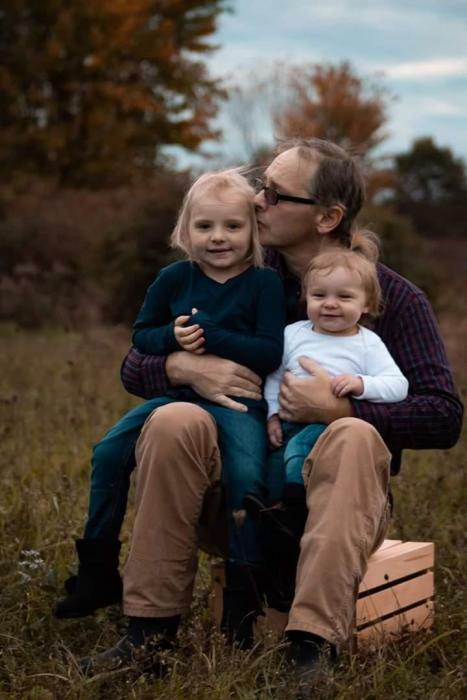 SHINGLEHOUSE, Pa.---Marvin R. “Marv” Weik, 49, of Shinglehouse, passed away on Tuesday, February 5, 2019 in UPMC Cole, Coudersport, after a courageous battle with metastatic malignant melanoma. Born on December 19, 1969 in Lebanon, Pa., he was a son of Russell “Russ” and Doris Lieninger Weik. Marv was a graduate of Oswayo Valley High School, Class of 1988, in Shinglehouse. He was formerly employed by Adelphia Communications in Coudersport for several years as a fiber optic engineer. Marv was a former social member of the Shinglehouse American Legion Post 530. He was extremely interested in astrophysics, teaching himself how to predict solar flare occurrences. He loved teaching his daughter about the solar system, especially the sun and moon. He enjoyed building model airplanes with his daughter. Music was extremely important in Marv’s life, having followed local bands, especially Torque, which was formed in his basement. His greatest loves were his daughters and his science studies. Surviving are two daughters, Evelynn J. Weik and Emma J. Weik, both of Bradford; his fiancée, Mandy L. Schneider of Bradford; and several aunts, uncles, and cousins of Lebanon. Marvin was predeceased by his parents and his maternal and paternal grandparents. A celebration of Marvin’s life will be held on a date and place to be announced. In lieu of flowers, memorials can be sent to Mandy Schneider, 44 Jackson Avenue, Bradford, PA 16701 to benefit Marvin’s two daughters. Marvin’s care and cremation arrangements have been entrusted to Kevin J. Dusenbury, funeral director/owner of the Virgil L. Howard Funeral Home, Shinglehouse.